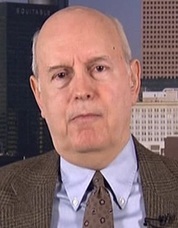 Jim Dean: CNN & Amanpour – Lacking Integrity? Did CNN Knowingly Hype an Intel Psyop Atrocity Report? [ Editor’s note: Corporpate media earned some new stripes in the past week for being in the bag 0f someone’s intelligence agency when they want to herd the rest of us like lemmings to the sea. The attempt to tag Assad with an anonymous single source mega-atrocity is being laughed at worldwide. Intelligence people are wondering how could CNN have been suckered into to this when they had to know that the story was just unbelievable. No one would print such a smear tag piece with such obvious timing to prejudice a peace conference taking place on the bodies of 100,000 dead and millions of displaced refugees. The West is permanently tagged with using massive terrorism to effect a desired regime change for some yet unstated goals, which that in itself shows they are a little concerned that the public will not buy it. But none of that seemed to have bothered Ms. Amanpour, whose reputation for being a shill for certain interests gets validated more and more each year she continues working. CNN might consider doing a story on who she is really working for…on her second job. Seth Ferris from New Eastern Outlook brings us his analysis of the CNN hucksterism involved in this stain on the journalism profession, even by today’s low standards. Just when you think it cannot sink lower… it does. Is American media in a race with Congress as the least trusted American institution? Color me prejudiced if you want, but when I first heard about the story I said, “Don’t tell me…CNN? ?” I wish you would win financial prizes for being right about stuff like this. Read full article with links and photos.